Our week by week extension planner is the perfect tool for anyone extending a house. It may be that you're extending your home for the first time and just need to get an idea of the process involved; or perhaps you're an old hand and just want to ensure your extension project runs smoothly. Before you get started, have a read through our extension checklist below to ensure that you don't forget anything, that you keep to schedule and, importantly, to budget; whether you're extending a house and project managing yourself or handing it over to a building company, we'll keep you on track. How can our week by week extension planner help? Each extension type comes with its own complications and knock on effects. This week by week extension planner will help anyone planning a single storey extensions, including a kitchen extension. It's also very useful if you are building a two storey extension. If you're looking for cost guidance, use our extension cost calculator, which will help you budget accurately for your extension. Obtain planning permission, if required, prior to work starting. Submit an application to your local Building Control department; find out more in our guide to building regulations. Organise the hire of plant, toilets etc. Compare quotes from trades and let them know if you will be completing any tasks yourself. If you’re planning to live on site, arrange the schedule to minimise the impact on daily life. Agree timescales and schedules with trades to avoid delays. Let your neighbours know that work is about to start. Arrange access for delivery lorries and decide where skips will be placed. Set up accounts with your local builders’ merchants. Check delivery times for materials and order when needed. Notify Building Control that work is starting. Make space to store materials safely on site. Ensure water will be available for cement mixing and plastering. Make second-fix decisions. such as the positions of lights and sockets, as early as possible. Allow time for plaster to dry before decorating. House extensions from £30,000 to £50,000: what can you build with your budget? 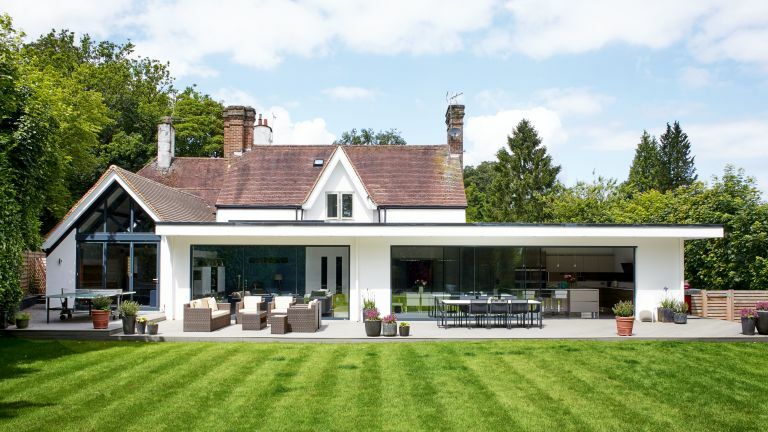 House extensions from £50,000 to £90,000: what can you build with your budget?